Posted October 16, 2018 by K.C. 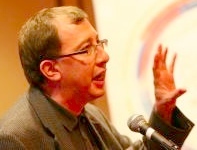 Hopson & filed under Event Rebels Blog, Meetings Technology, Mobile, Speakers, Surveys, What's New. One of the most time consuming processes a conference planner can face is developing the program schedule. If you have a call for abstracts, the process is further complicated by the need to conduct a peer review of the submissions. After the peer review process is completed, there is still the long task of coordinating the speakers and ultimately compiling the schedule. After the program is built, you then have to push the schedule out to the attendees – real or prospective – to your website and, probably, via a mobile event app. If you are still using spreadsheets or multiple, un-integrated, software packages to aid in this process, the duplication of data can still result in many unproductive hours of work. Fortunately, end-to-end event management software can streamline this process resulting hundreds of hours of time savings. Even better, the high quality of such software will please your conference participants from speakers to attendees to you, the planner. Call for Papers and Abstract Submission software removes tons of manual spreadsheet manipulation by giving presenters a portal page where they can start, submit and update their proposals. The portal page is also great for breaking submissions into series of “bite-sized” forms, making for a better user experience. With this software, everything goes into a unified speaker database so meeting planners can view submissions in detail or via reports. Such software also provides tools for Email communication with the presenters. There are few aspects of speaker management that can be more painful than the process of reviewing submissions from an open Call for Papers. 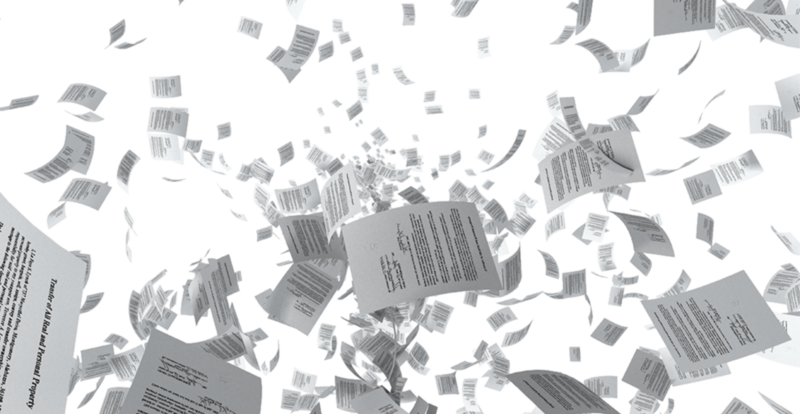 If the review is conducted in the classical way, the planners will find themselves buried in a bewildering collection of PDFs, Word docs and spreadsheets. Peer Review software cuts tremendous manual labor out of the process by providing reviewers with a single portal page. This page shows the reviewers the submission and abstract information they need to see, while providing an easy way to “score” and evaluate each presentation. The software also allows the review committee chairs to compare the reviews while also viewing aggregate scores. Presentations can be divided into accepted, declined and tentative categories, with people being notified with easy-to-send Email messages. After the Peer Review process is complete and your speakers are selected, you need to move to the next phase of building your program schedule. Building the conference schedule is one of most challenging jobs a planner faces. Many things need to be taken into consideration – room availability, travel plans, A/V, speaker requirements, time conflicts, and so on. On top of this, planners are typically barraged by many changes, including a number of last minute headaches. Even worse, hundreds of files often need to managed including speaker photos and Power Points. Fortunately, the latest in speaker management software uses the same speaker portal page used in the Call for Papers to collect this data. The software collects files, manages speaker and schedule changes, and ties sessions to the time slots of the final schedule. Once you have created the schedule you will probably need to make it available to all interested parties. Capable software will allow you do many things with the schedule including producing a Word document that you can send to your printer (if you are still using one! ), display the program on your website and send to your mobile app, and tie to your online registration forms. Access to imported files, such as photos and Power Points, should be part of this process. The most important feature of the mobile event app is to have the functionality of the old printed program guide. In this model, attendees can browse the schedule and mark the sessions of interest. 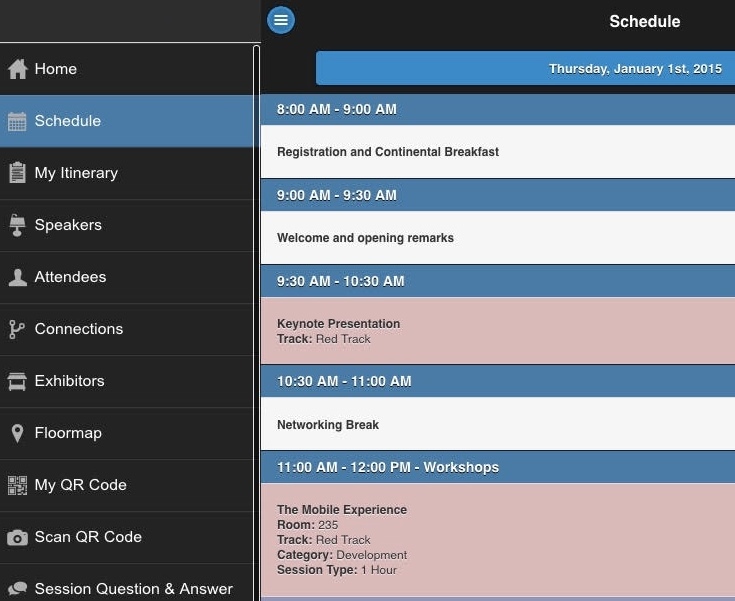 The mobile event app will probably have little value if the attendees cannot see and modify their schedule so they can navigate the conference. The mobile app should not only allow them to view the schedule, but build their own itinerary. This should include not only items from the schedule, but ad hoc meetings and items that were added during the registration process. Several features related to the schedule can enhance the mobile app experience. 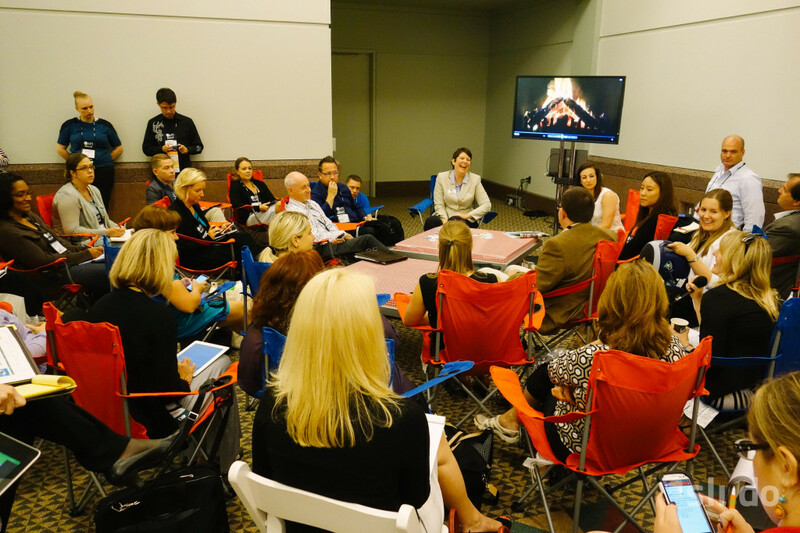 One tool that can greatly increase attendee engagement is Session Question and Answer. This allows attendees to post questions to session presenters, often fielded by a moderator. Probably, the most important feature in addition to the schedule is having an in-app survey tied to each applicable session. Mobile surveys, strategically combined with web-based surveys, can greatly enhance your survey response rates. Finally, tying Google Analytics to your mobile app can make it easy to find out what is important to your attendees. You can then use this data to repeat the entire call for papers/abstracts to mobile process again with improved efficiency and attendee satisfaction.